Crankworx is truly a celebration of everything magical about mountain biking. The world class events take place in New Zealand, France, Austria, and Canada. 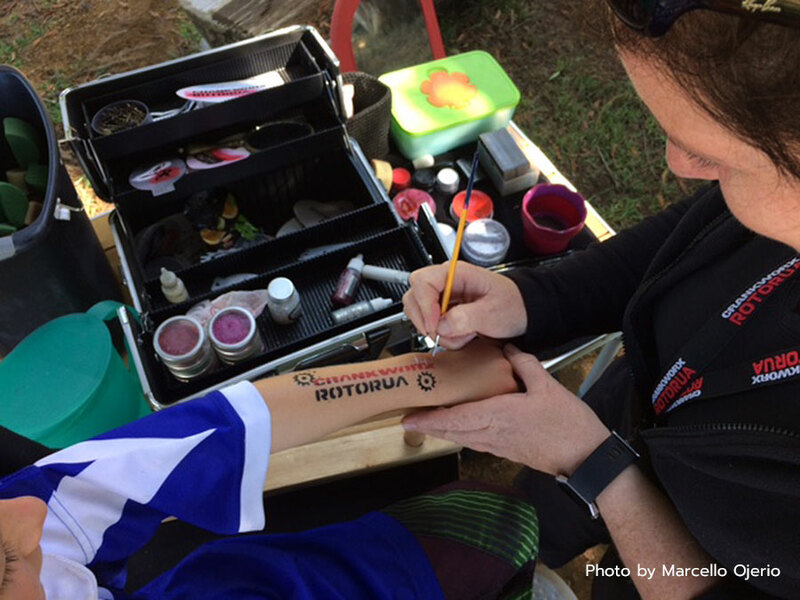 Each year, Mountain Bike Rotorua is one of the arms that puts together the Crankworx event in New Zealand. 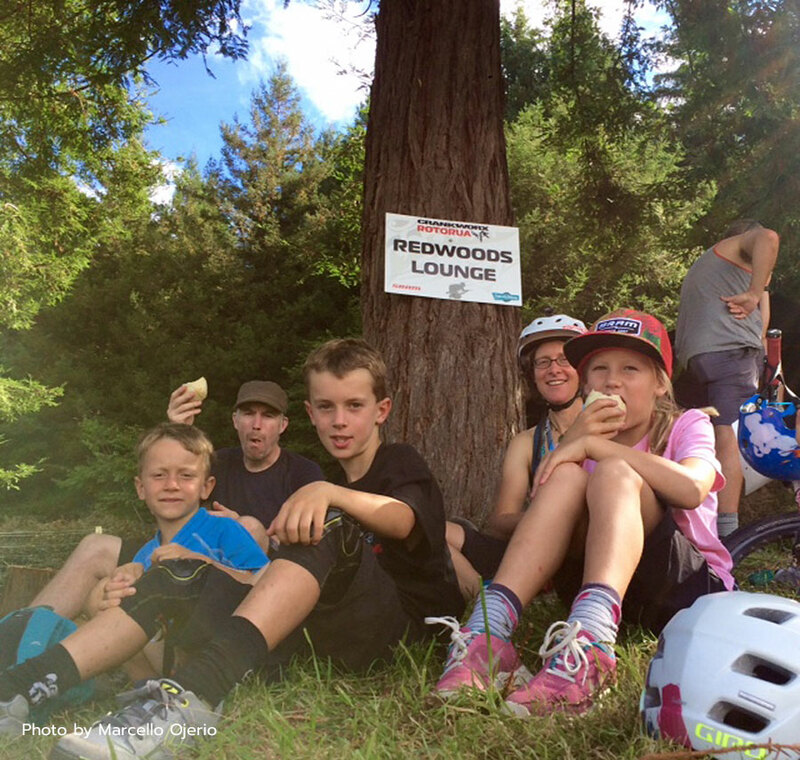 One of the fun offshoots of the Crankworx spectacle is the family-focused Kidsworx where young riders get to learn, compete, and meet the stars. 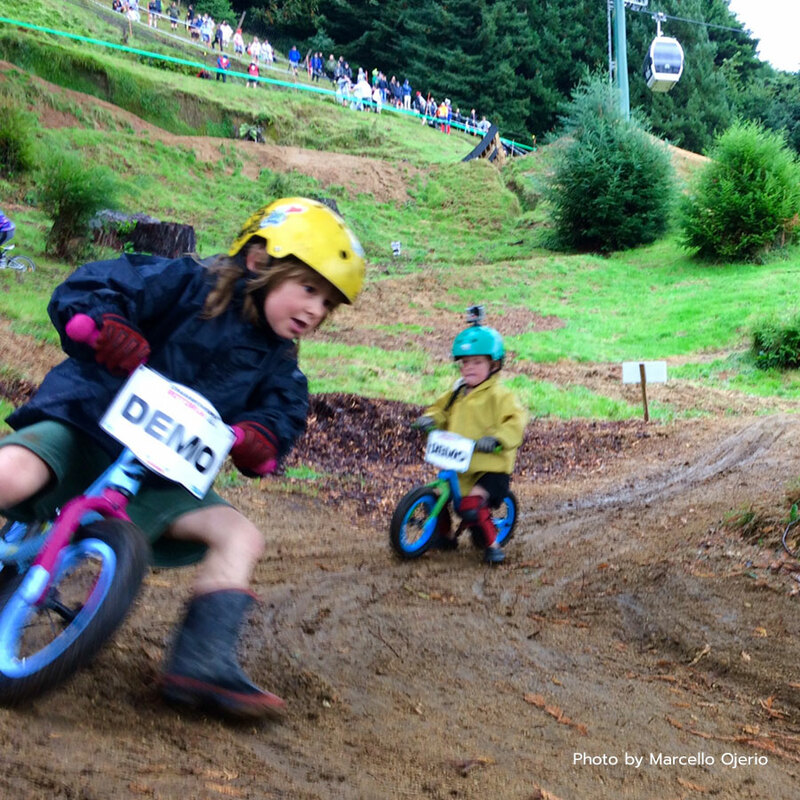 Marcello Ojerio and his staff played host to hundreds of kids at Kidsworx as part of Crankworx Rotorua. 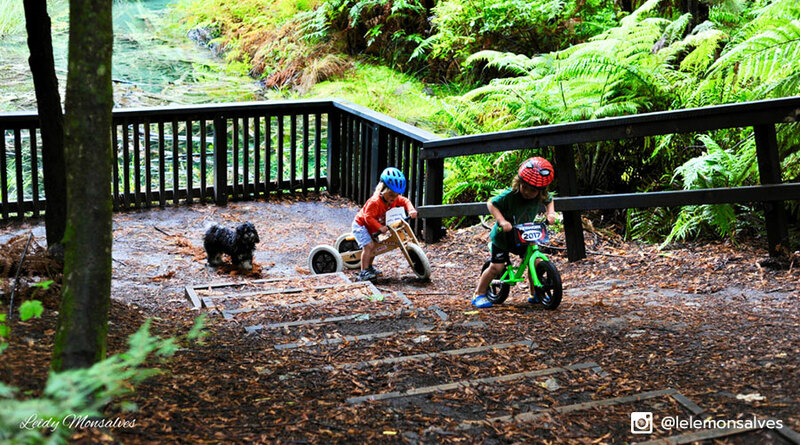 It was only natural that the creators of Kidsworx would approach Mountain Bike Rotorua’s own full-time tour guide Marcello Ojerio to gauge his availability and interest in starting the Kidsworx program. Three years later, Marcello still heads up some of the kids’ events/facilities each year including the: Kidsworx Pump Track Skills Coaching, Kidsworx Pimp My Ride, Tiki Tour Scavenger Hunt, and the ever evolving pint-sized Tamariki flow track. Marcello’s colleague, Tim Farmer, focuses on making sure the Kidsworx racing events (Hipster DH, Skyline Warrior DH, Pump Track Challenge) are organized, staffed and managed throughout the Crankworx week. 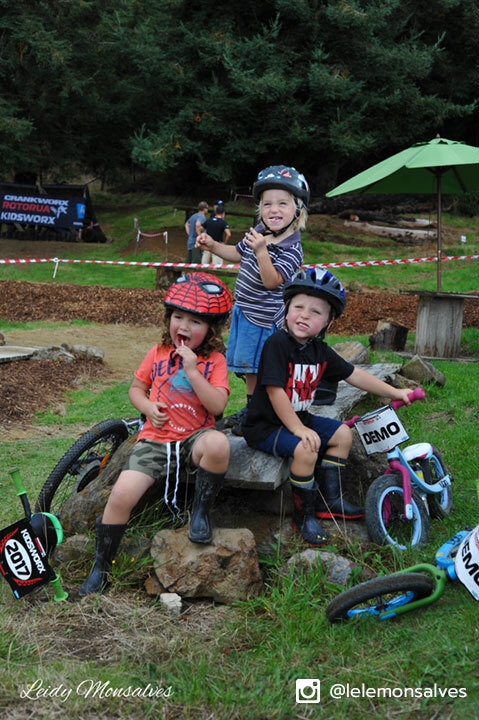 Planning for Kidsworx Rotorua starts right after Christmas. Staff and volunteers focus on improving the trail system, the overall site, and the Tamariki track. Marcello works tirelessly to have everything in tip-top shape for the event’s commencement each year. 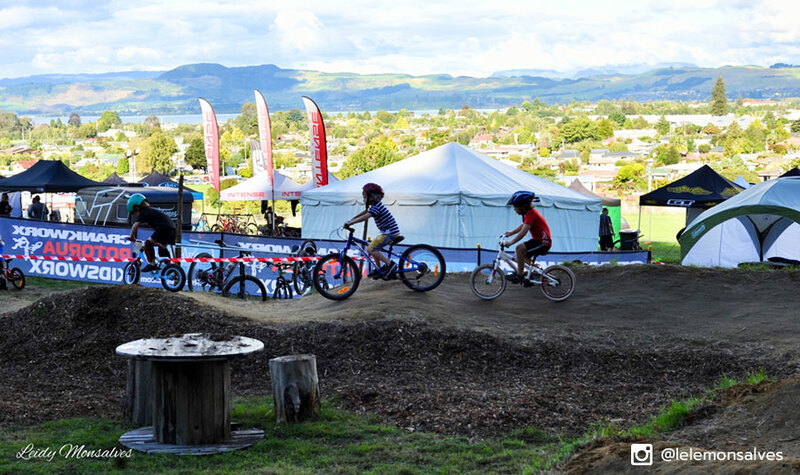 This is the pump track designed specifically for young children at Kidsworx Rotorua. 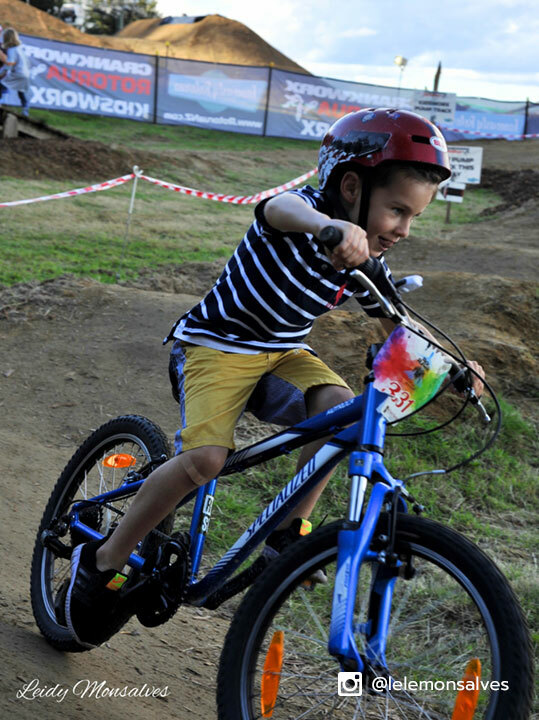 Kidsworx Rotorua has grown in popularity for the events that Marcello supervises. Last year’s participation numbers reached 360 kids. Interestingly, 50 to 60 percent of those children were 5 and under. This was a significant increase in numbers from the previous year when participation was only 258 kids. For the week of Kidsworx, Marcello and his wife Heidie work full time with the children. 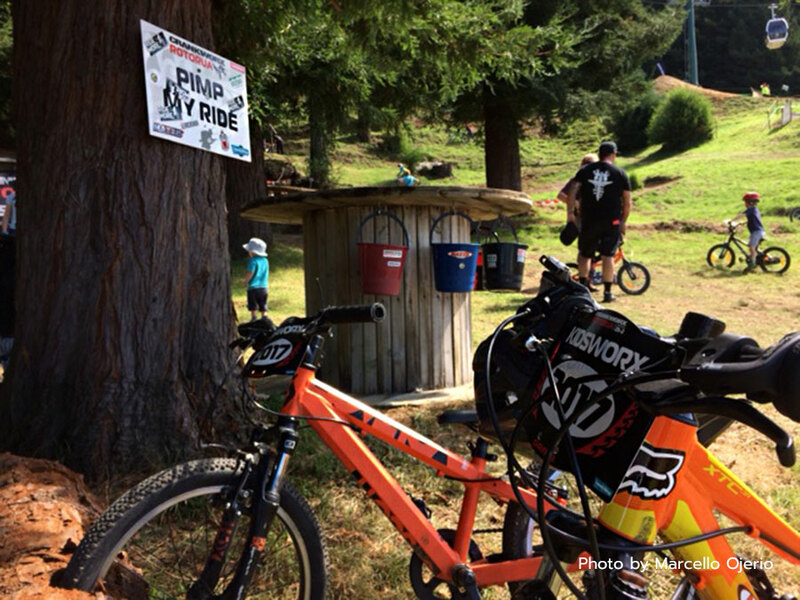 However, they aren’t alone because they had about 300 individuals sign up to volunteer for the Crankworx event in various capacities last year. Generally, to make the events work and be a fulfilling success they require about 250 volunteers. Over the course of the three years that Marcello has assited with the Kidsworx events, he has had a core of volunteers come back each year to help out. Everyone works as a team to make Kidsworx an unforgettable experience. 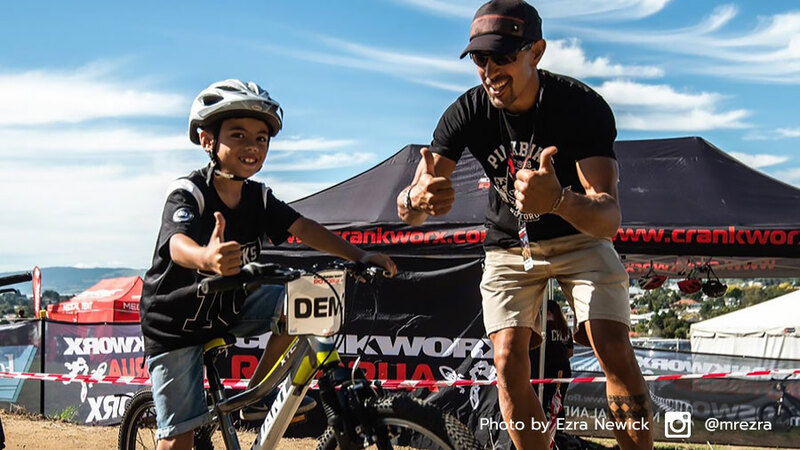 Grandparents, parents, and many biking enthusiasts volunteer to form the optimum group to ensure that Kidsworx is an annual hit that keeps families wanting to come back year after year. Volunteering isn’t just a quick endeavor because it’s a significant investment of time. Most work all day with the kids to create a memorable, upbeat, positive experience for everyone involved. Volunteers spend an average of six to seven hours per day at Crankworx. Marcello works to set up the entire area so it not only caters to the kids participating in the event but the entire family and the volunteers that make it all happen. 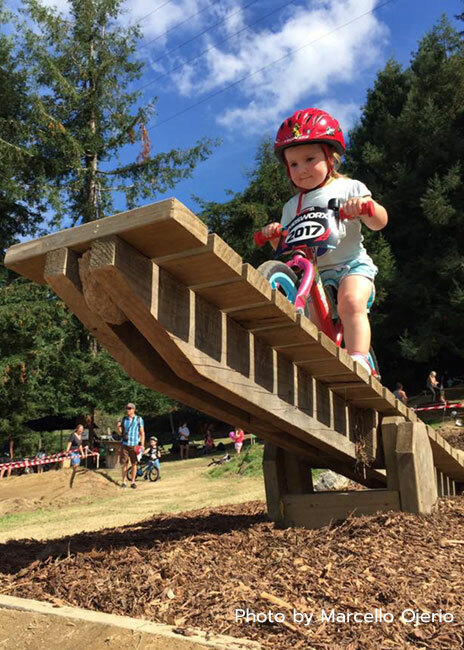 With a large number of small children participating who really just want the opportunity to ride their bikes, a balance had to be achieved with the older children who were there to hone and learn new biking skills. Last year, to meet the needs of the older children Marcello brought in the accomplished athlete and educator Mark Leishman to work with the mature, more experienced children. 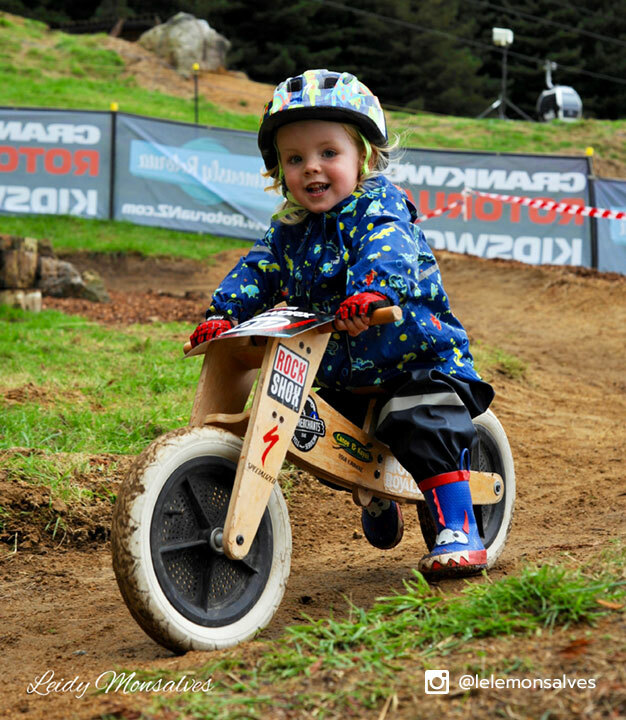 He was able to pass on pointers and tips to the parents on how to improve their kids on the pump track. Recently, involving the parents in the various aspects of Kidsworx has become a focus for Marcello in order to enrich the experience for the children and everyone involved. Gravity doesn’t care how old you are. Young riders have to earn the descent just like you and me. Kidsworx isn’t about just riding. It’s about creating an atmosphere full of activities the whole family can enjoy across an entire holiday week. Event organizers have added a good old-fashioned scavenger hunt complete with a winner at the end of the day. However, not just the winner gets the prize, every kid gets a little something and fun is had by all involved. Plus, the youngsters get the added pleasure of hearing their names called out which helps build a special sense of pride and feeling of accomplishment. The success of Kidsworx also relies to a degree on the generosity of sponsors who donate items such as tee shirts, hats, and stickers. The Pimp My Ride event utilizes donated stickers and other accoutrements so kids can dress up their bikes. Marcello has noticed that several kids’ bikes have been coated with more than one year’s worth of decals. Positive proof that families are making the annual event one their mandatory stops for summer fun. Marcello’s lifelong love of bikes and working in bike shops has bestowed the nickname ‘Bike Guy’ on him and he wears it proudly. He loves inspiring the enthusiasm and passion of biking in children and their families. There is little doubt that every coming year Kidsworx will continue to leave happy families smiling. We cannot thank Marcello Ojerio enough for taking the time to contribute to this article. His genuine, unabated devotion to mountain biking, hospitality and overall heartiness make him one of the true ambassadors of Crankworx. Follow him on Facebook here. Ezra Newick was kind enough to give us permission to use some of his photographs from Crankworx Rotoura. Thank you Ezra! You can contact Ezra through Facebook here. And, you can follow Ezra on Instagram @mrezra here. Leidy Monsalves is another contributing photographer for this article. Follow Leidy on Instagram @lelemonsalves to see more stunning photos of colorful New Zealand.